Ahh yes, the NFL lockout. Fans are tired of hearing about millionaire players fighting with billionaire owners. We understand what the dispute is over, we’re just ready for some football. Yet with the lockout nearing its end, the question that will arise: What should we expect from the 2011 football season?? Will this lockout benefit the teams that were winners last year more than those that were up and coming?? Will we see more defensive battles with offenses unable to choreograph they’re play through the missed minicamps?? How will it shape up?? For the most part it’s easier to put together a defense than it is an offense. Its one of the reasons a new coach will come in with a conservative approach and play basic ground football and basic defense to stay in ball games. An offense needs more time to synchronize their mechanics and memorize play selection. Without the full off-season, expect scaled back playbooks for everyone early as defenses step to the fore. Those teams that struggle running the football traditionally like Chicago will have that deficiency. Bubble screens, draws and trickery running plays won’t be timed up as well in the early going and defenses will capitalize on the simplified offenses. Yet all this simplified offense will make adjustments and take advantage of simplified defenses. Practicing the more exotic and intricate blitz packages will be scaled back as well. Everyone will want to play it close to the vests and by midseason offenses will gain the upper hand. A huge one. Once the teams reach about the midpoint of the season we’ll see defenses start to tire more and offenses will open up. Defensive endurance is gained during the summer through intense work out and conditioning. Any coach will tell you that a 4th quarter or 4th down stop in December is attributed to work put in back in July. Offenses will start scoring more by midseason and we’ll be hit with a deluge of points as we come down the stretch against tired defenses. So we will go through a rough, rusty start to the season but it will look like 1984 with some seriously high scoring games. Especially in the NFC East. With all the early running there should be more 1,000 yard rushers than last year. We should be in for one serious thrill ride and if you can’t bring an offense this year, you’ll be watching the playoffs. 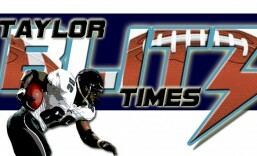 This entry was posted in 2011 Team Previews and tagged football, NFL, NFL Preview, NFLfootball. Bookmark the permalink. I just have to reconcile in my mind, the fact that you are a Forte hater! While he may not be a power back or one w explosive speed or Barry Sanders like moves, he has outperformed the 8 other backs drafted ahead of him by leaps and bounds except for Chris Johnson. I’m sure that Martz sees him as a Mini-Faulk in the things he likes to have his running back do as a pass catcher/outlet in addition to his run skills. After the Enis’, Salam’s and Cedric Benson’s wasting our top picks, money and emotional investment, it’s safe to say that when you look over the entire NFL, there is but a handful of backs more valuable than Matt Forte. LOL not a Forte hater. He’s more of a third down back to me when I dissecting what plays he runs well. Between the tackles on traditional runs is where the struggle is. Have you looked at their power rushing stats and goalline?? I put them in the Bears preview…take a look. The stats bear what I’m talking about.